Moody Construction Services, Inc. - About Moody Construction Services Inc.
About Moody Construction Services Inc.
Home/About Moody Construction Services Inc.
Matt Moody, President and Founder of Moody Construction Services, Inc. is a second generation fabricator. Growing up, Matt and his two brothers worked with their father, Bob Moody, who established a fabrication facility of his own. With a firm hand and guidance, Bob Moody set them on the path of a future that is still existing today. While Matt’s two brothers pursued the Engineering field, Matt kept a desire for the steel fabrication industry to carry on what his father had taught him. After his father retired, Matt Moody established Moody Construction Services, Inc. and is training his son Bobby Moody the same way his father taught him. 3 generations side by side with a love for the industry and their customers. The Moody family was raised with a set of Core Values that Matt Moody carries with him into his business operation. 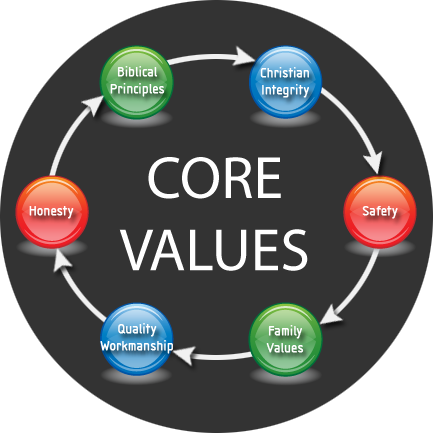 These values are the energy that fuels Moody Construction Services in its daily operation. His expectations are high for family and business and he stresses these values to his employees for the love of their families and daily lives. Moody Construction Services, Inc. was established in 1987. Our goal is to provide unequalled quality, service and reasonable pricing to our customers. We are equipped to fabricate carbon steel, stainless steel and aluminum products for all industries including mining, chemical, citrus, and wastewater. MCSI is an ASME Code shop accredited with the “U”, “UM”, “S”, and “R” stamp with National Board UM Certified Individual on staff.. We also have full Engineering and Detailing capabilities at our disposal for Turn-Key fabrication projects.